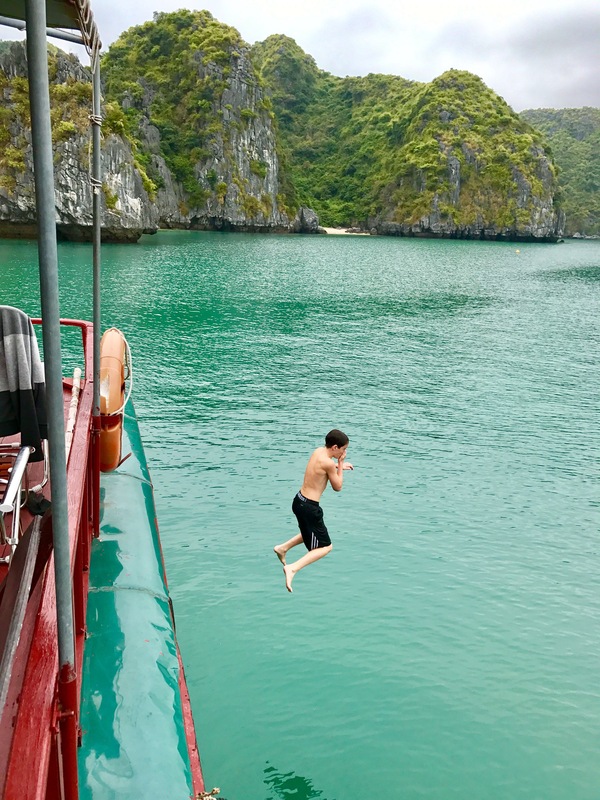 Ok, here it is, the post where I admit that everything isn’t always perfect and we aren’t always having the time of our lives on this trip. 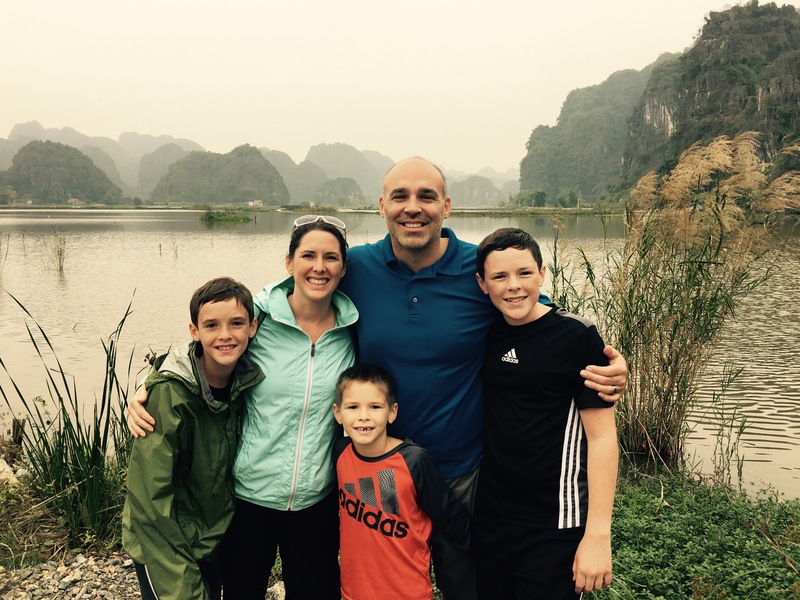 It has truly been extraordinary, but there are times where we are frustrated, homesick, angry, and sad. After all, if you are going to leave your home and everything you know for one year you are bound to have a few bad days. 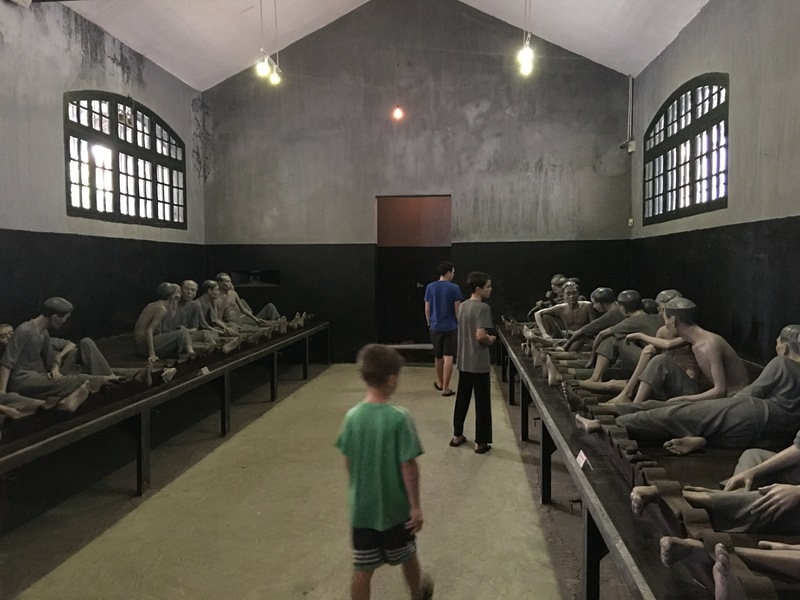 The reason I am writing about this in my post about Vietnam is that all the negative things seemed to combine to make our time there our least favorite so far. 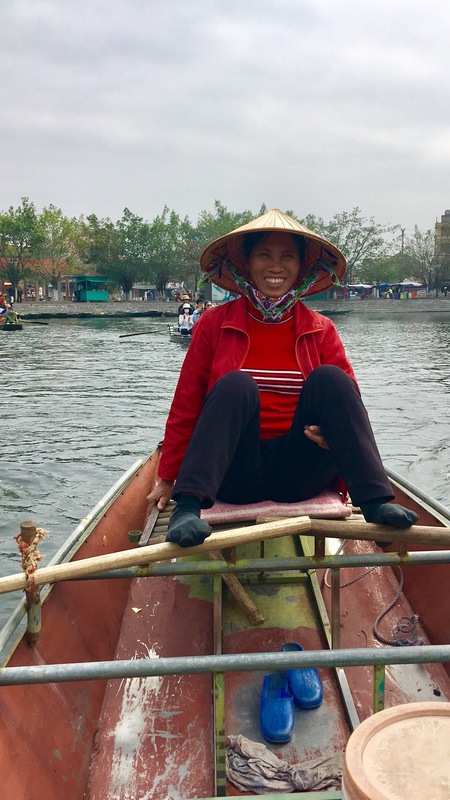 Some members of the family had a harder time than others and most of the time it was just one of us who was feeling negative, but here are a few of things that were tough in Vietnam and on the trip in general. 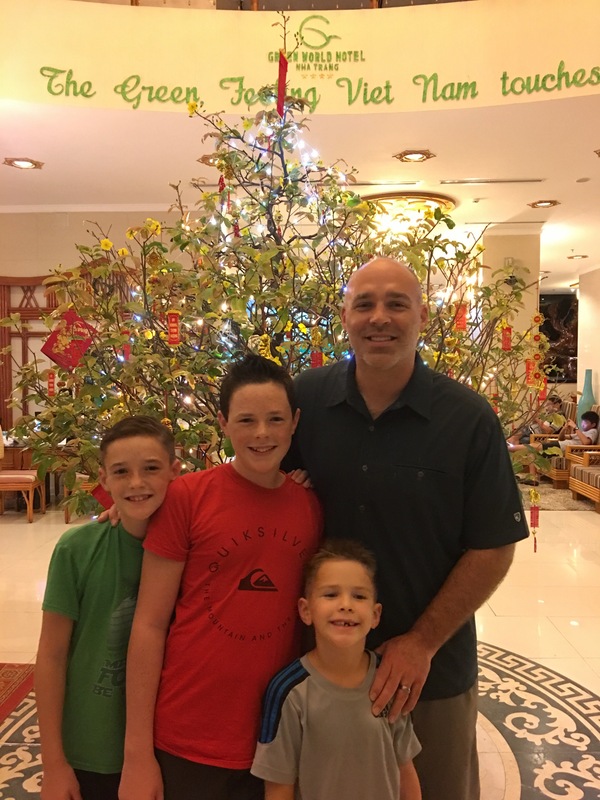 We arrived in Vietnam soon after Christmas and New Year’s, which naturally, were times we were missing family more. 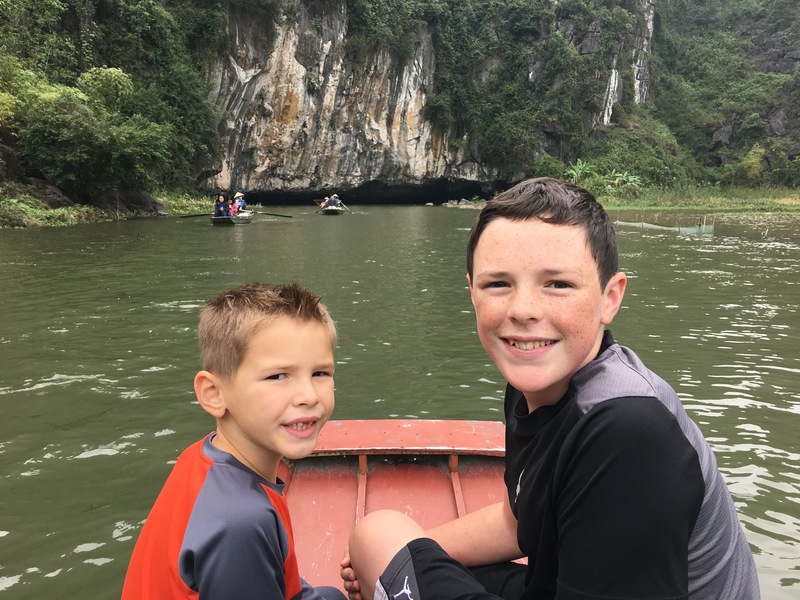 It has been great to be able to FaceTime and keep up on Facebook and Instagram with people, but the boys miss their friends, cousins and Grandparents and so do we! 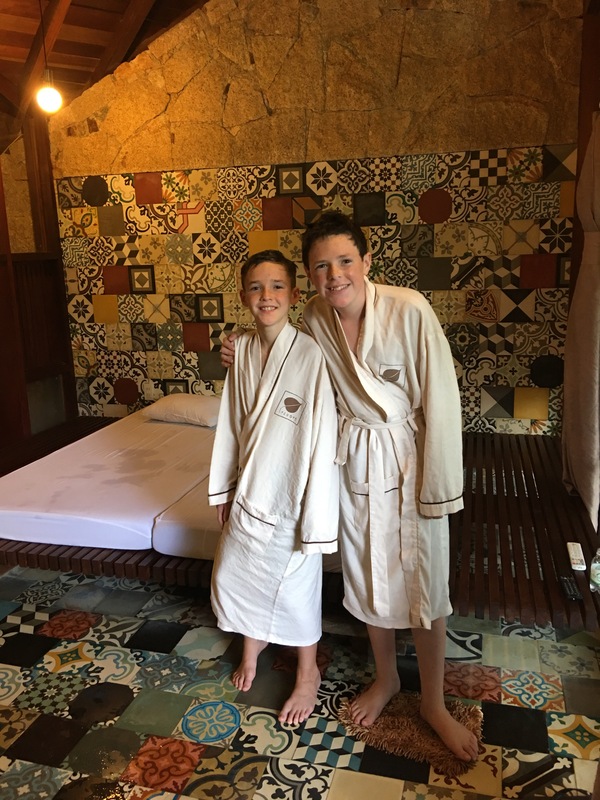 It was also just over half way through our trip and while in some ways it seemed to go fast, it also felt like we had been gone for a long time. 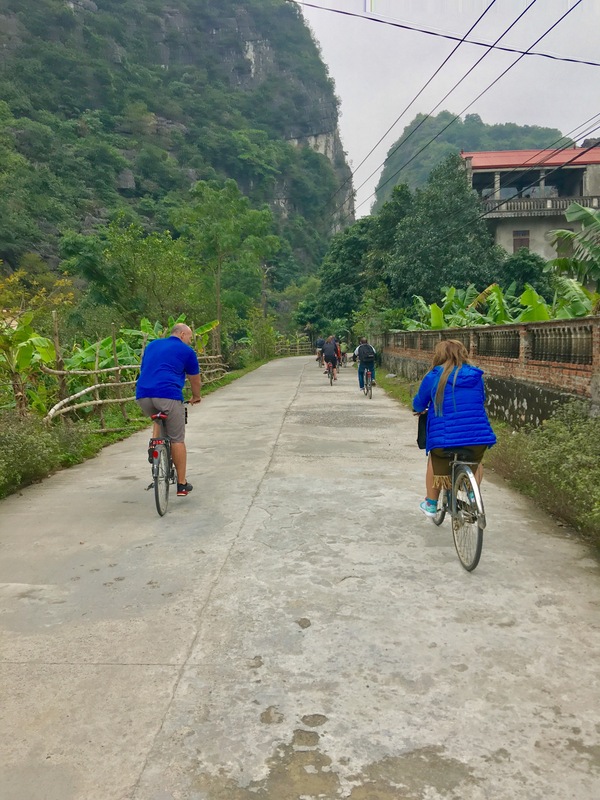 It can be very exhausting, physically and emotionally, to travel long term and the thought that we were only half-way through seemed a little daunting for some. When we sit around and are talking about feeling homesick, our thoughts and conversation often turn to the food we are missing and what we can’t wait to eat from home. First, is always having some of Grandma Rhyasen’s amazing desserts, although we’ve debated the order we would like them served in (caramel brownies first!). Next it goes to the restaurants we missed the most. In no particular order because we can’t agree here are our top choices. While I do love fresh baked desserts a little too much, I generally try to eat a well balanced diet with lots of lean protein, whole grains, fruits and vegetables. I rarely buy soda and try to avoid overly processed foods. I like to eat out, but the majority of our meals were made at home by me. Well, on this trip, all that went out the window. I almost never cook, as we don’t have a kitchen very often, and if we do, it’s hard to find familiar ingredients or any variety of food at all. 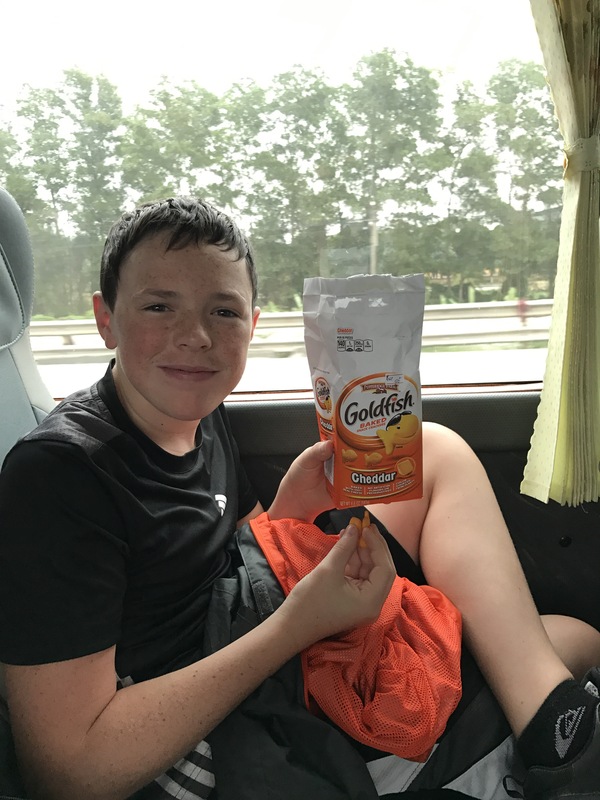 Half of the places we’ve been we have avoided fresh fruits and vegetables because of the risk of them being cleaned with contaminated water, and so when we find familiar food like Oreos, candy bars, or soda it makes the boys so excited it’s hard to turn down that familiar taste from home! The only fish we all liked! 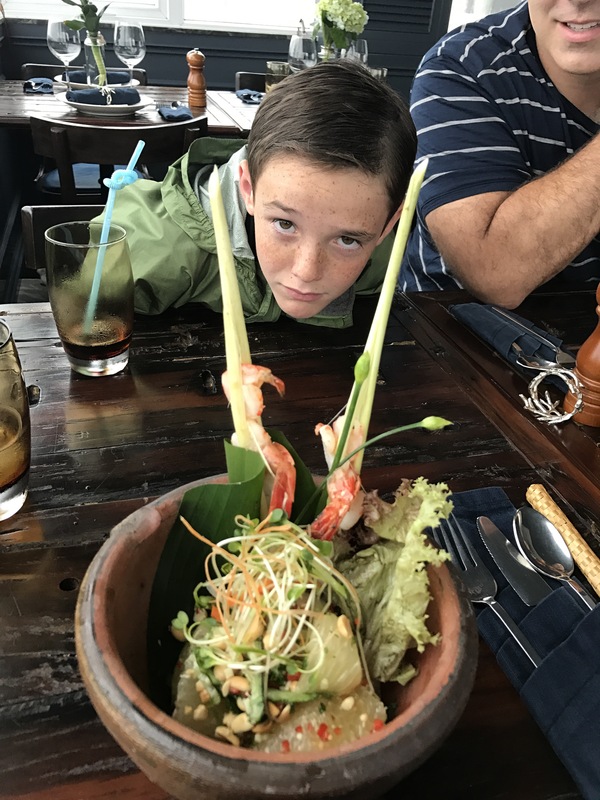 When we left a big concern of family and friends was what Luke was going to eat. He was so picky at home, they were pretty sure he was going to come home smaller than when he left. He did have a few times so far where he has chosen not to eat, and it has caused him to be sick. He learned his lesson from it and will try and force something down even if he doesn’t like it to avoid being sick the next time. 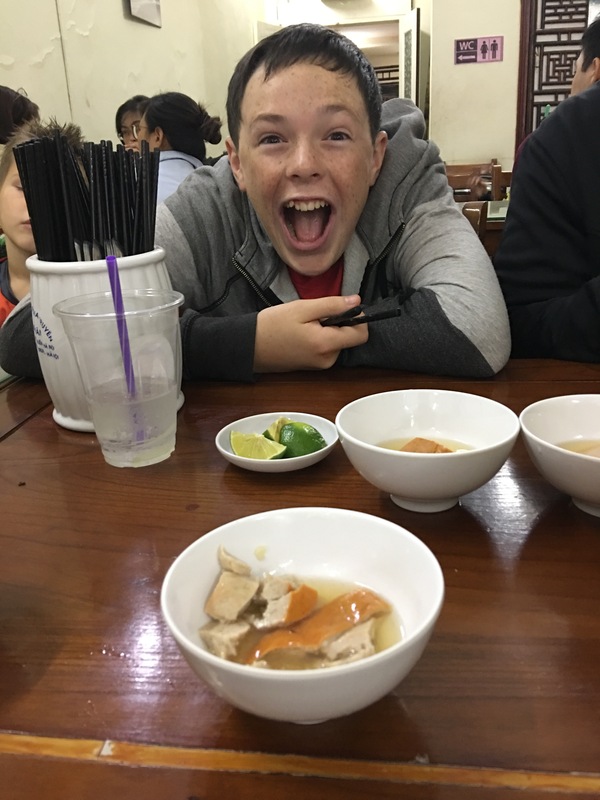 One item he does like is Spaghetti Bolognese and fortunately for him, it is served all over the parts of the world we have been to so far. Luke has probably averaged one Bolognese (sometimes he will branch out and get penne pasta) a day for the majority of our trip. 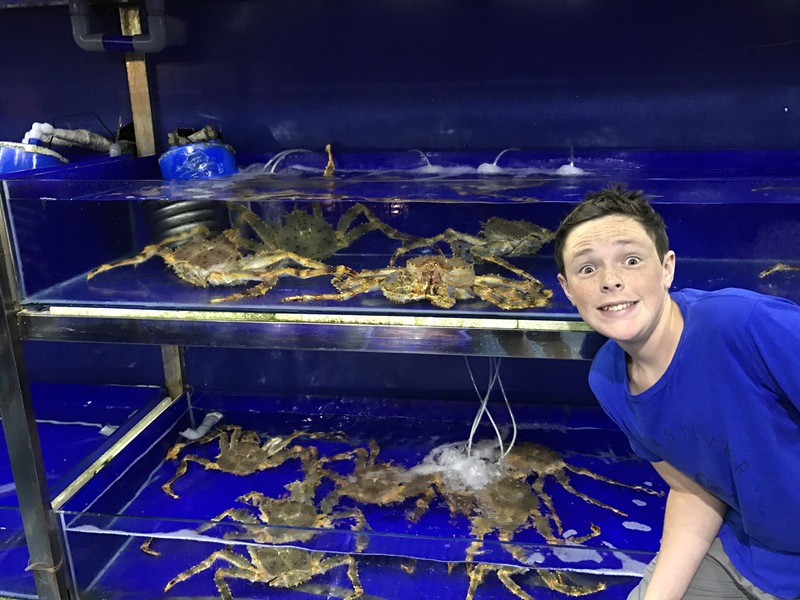 Parker, although much more adventurous, went through a spaghetti carbonara phase for awhile, but since we’ve hit Asia, he’s gotten away from that, as he had a couple bad experiences with it here. Tyler is the most adventurous of the whole family and has tried crickets, dried worms, and almost anything else someone dares him to eat. He does hold out for a $5 bribe from Dad before giving in every once in awhile though. This was delicious. One of the best meals we had. 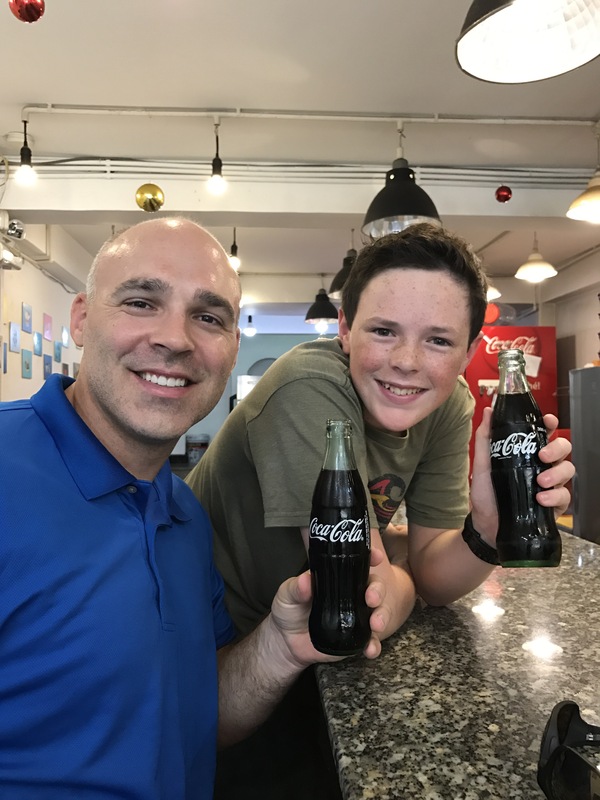 A major part of traveling is trying the local foods of the places you visit, and in general, it’s one of my favorite parts. 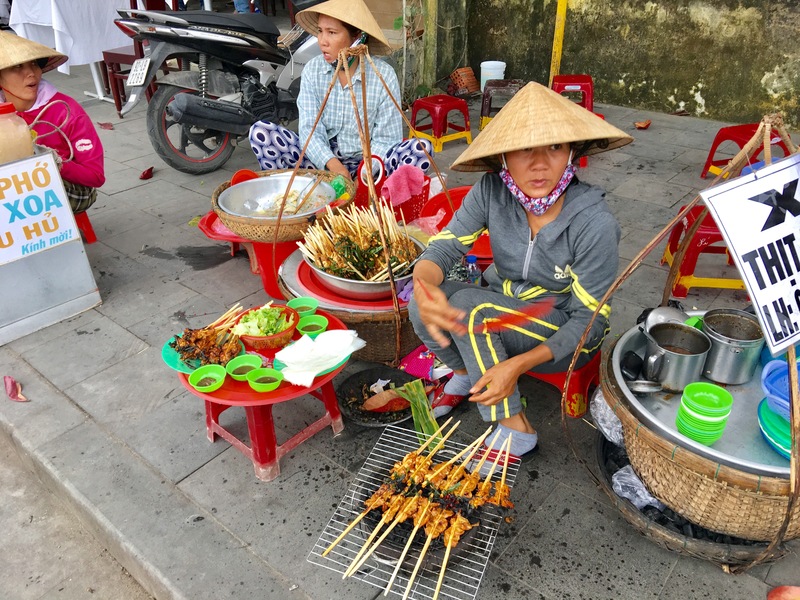 Before leaving on this trip, if we traveled to a new place we ate almost entirely the local cuisine and would never eat at an American chain. 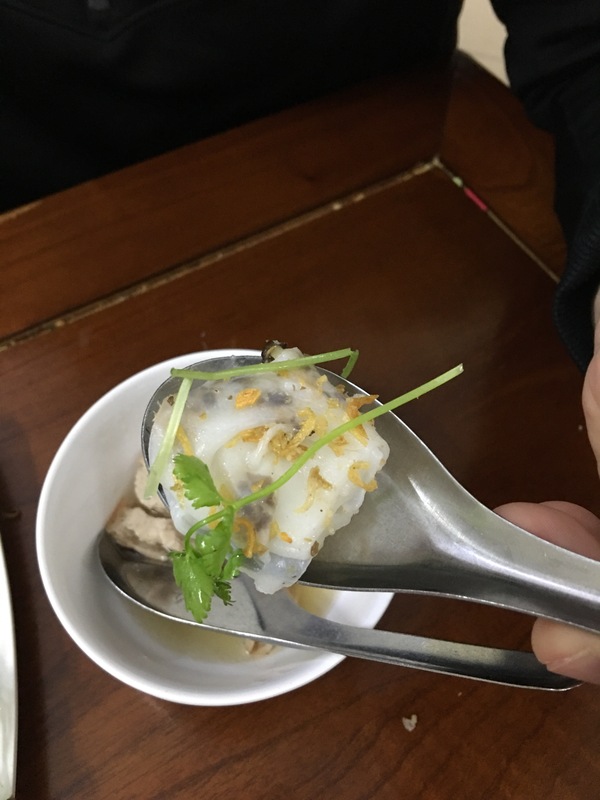 Now, we eat local, because you have to find three meals a day for 365 days, but when we see an American restaurant, if it’s been awhile, it is a special treat for all of us and we go once and sometimes twice while we are staying nearby. 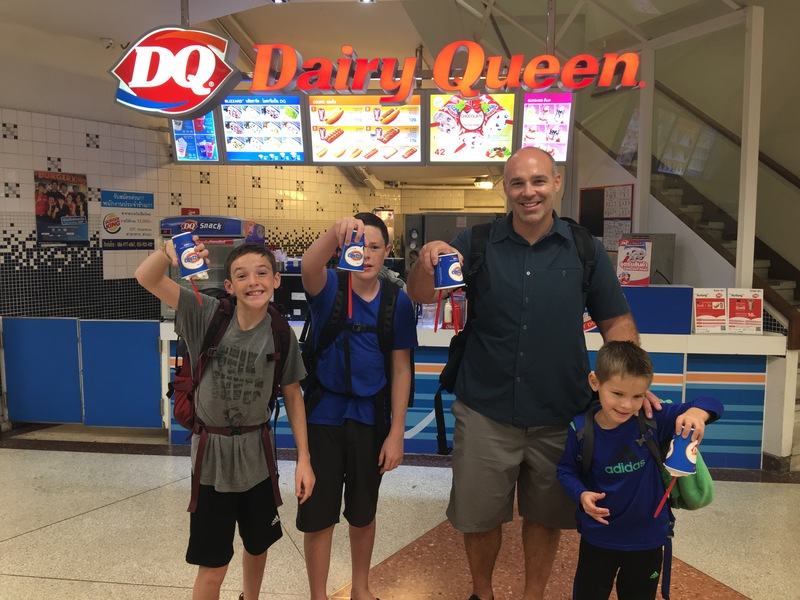 Even if it’s 10:00 in the morning…when we see Dairy Queen, we get Dairy Queen! Before coming to Vietnam I had had Vietnamese food a few times at a really great place in Portland (Luc Lac) and liked the food a lot. 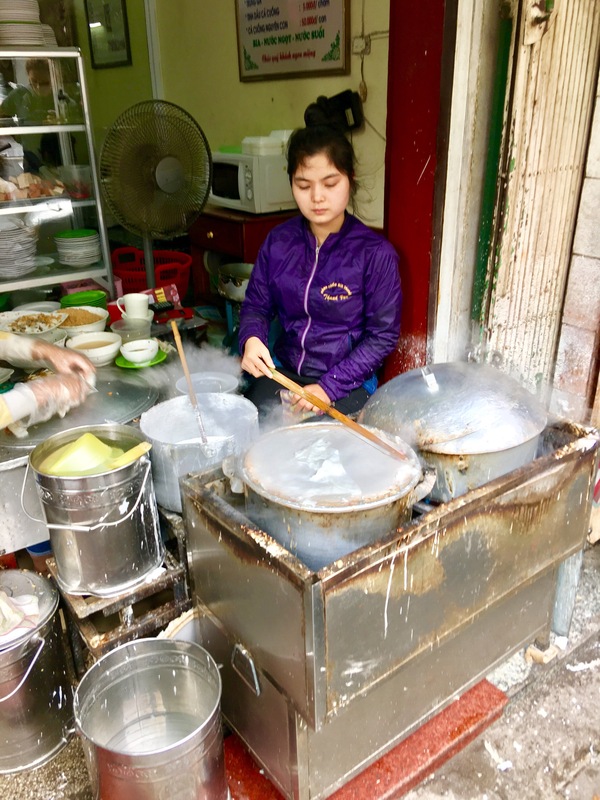 Their Pho in particular is incredibly popular and delicious, but we learned when we visited Vietnam that it is really only served for breakfast. The good news was that I really liked it for breakfast everyday, the bad news was, my whole family didn’t necessarily agree with me. 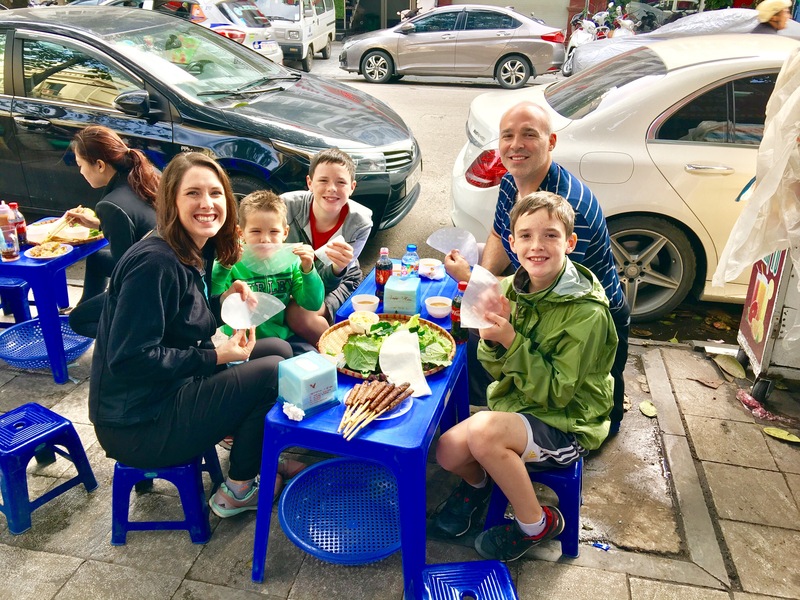 When you are in Vietnam, most of the people who are eating out, eat at little “restaurants” with tiny plastic chairs and tables outside. And when I say little, I mean little. They weren’t even the size I would consider appropriate for Luke, but the streets were lined with hundreds of these little restuarants with plastic chairs and tables sitting out front on the sidewalk. We (or more accurately I) really wanted to try eating like this, but the major problem with the food in this type of establishment are the hygiene issues. We just couldn’t be sure it was safe to eat and we definitely didn’t want to get sick! 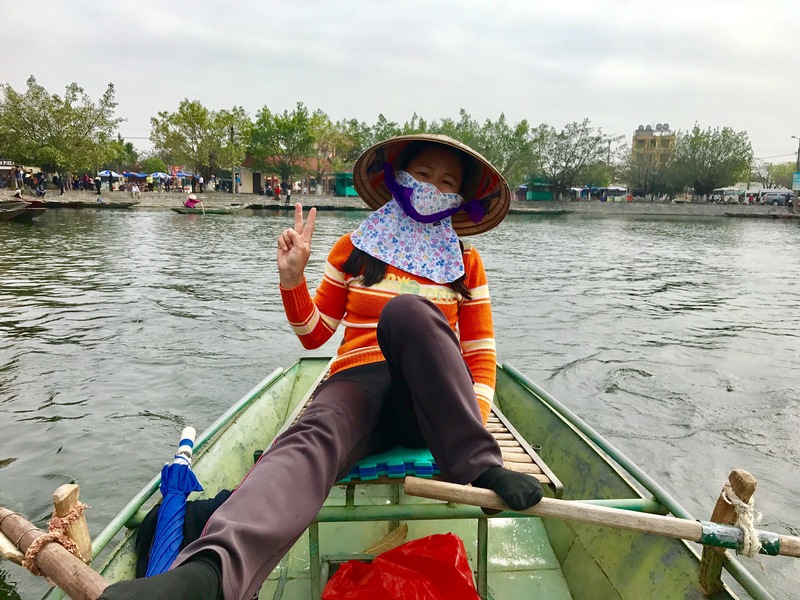 So when we were in Hanoi we decided to go on a street food tour of the city. It was a great way to try a variety of foods and be (mostly) sure that they were prepared safely. 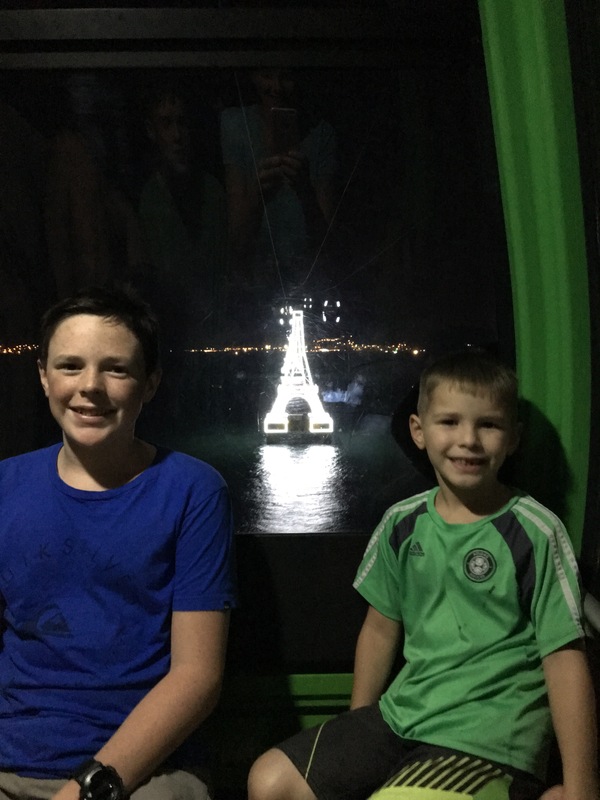 The boys were troopers on this one because they really didn’t like any of it, but they were willing to try and smile while doing it. Luke, of course ate nothing, as expected. He had some spaghetti bolognese waiting for him later at our hotel’s restaurant. 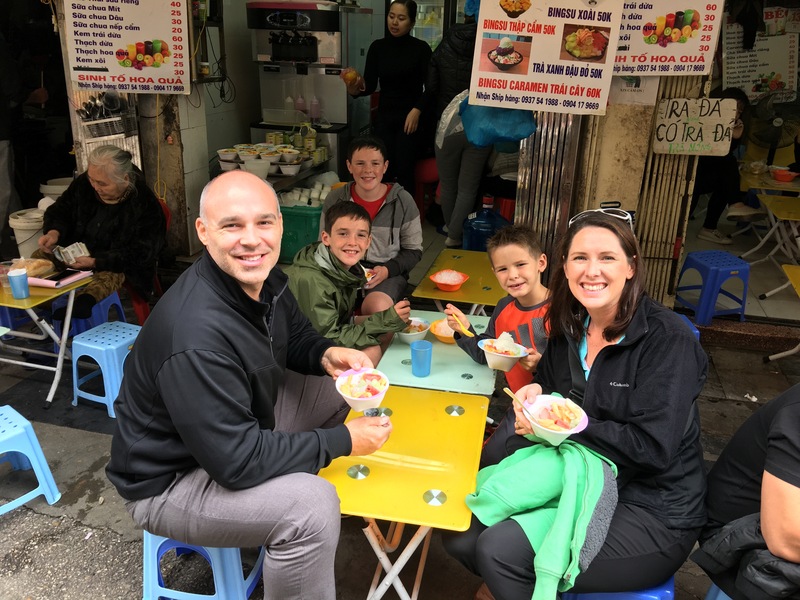 We did find some good food here and there along the way, and some really great food sometimes as well, but day to day trying to find three meals a day was pretty tough for us in Vietnam and added to our discomfort and frustration. 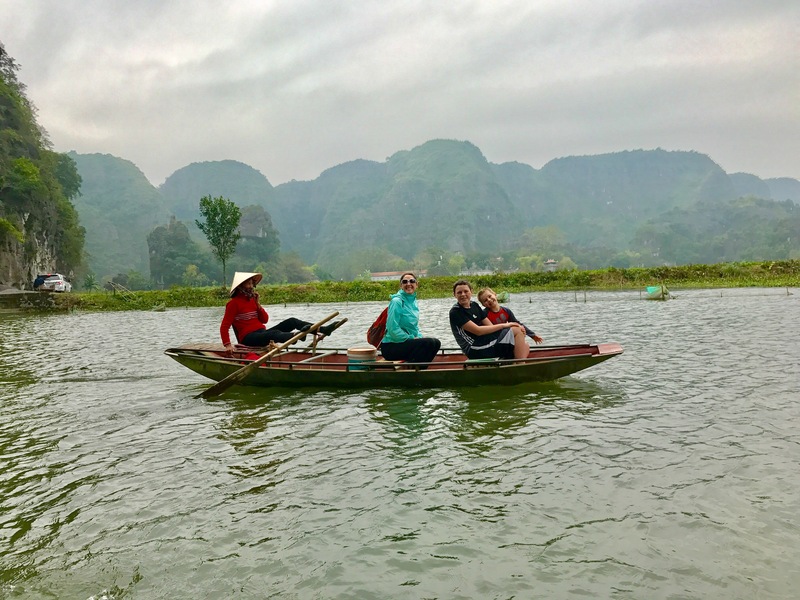 We have generally tried to follow sunny weather throughout our trip avoiding winter and rainy seasons as much as possible (this makes packing much easier), but although it wasn’t supposed to be raining (everyone kept telling us this), it was. 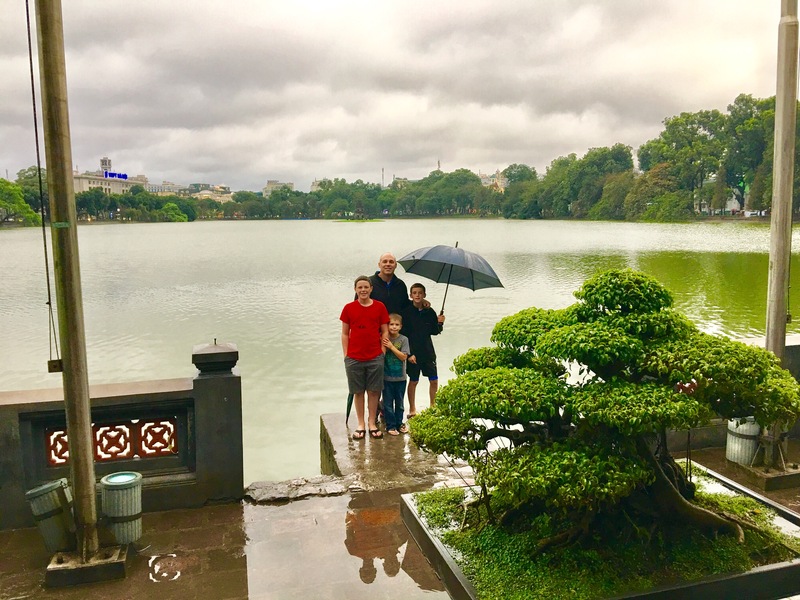 Our first two days in Hanoi it rained so hard we weren’t even able to leave the hotel except to run across the street for dinner and we were still soaked. 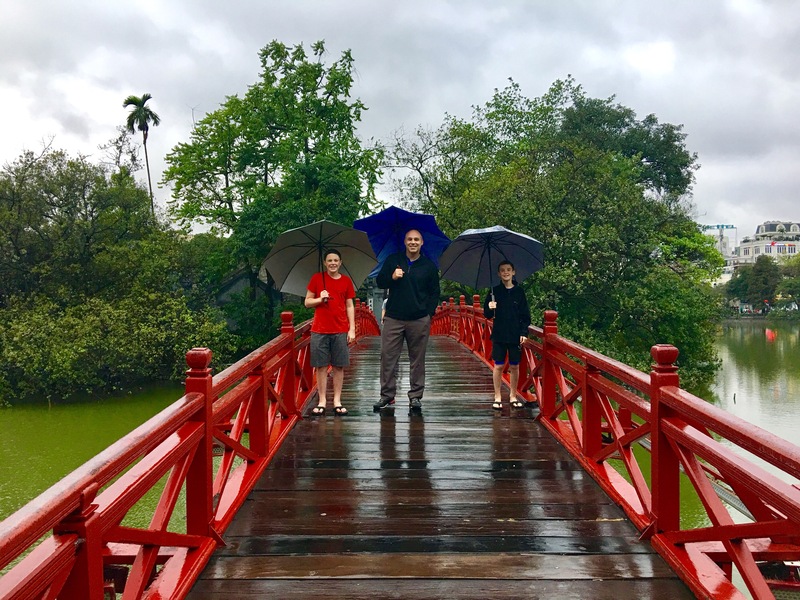 Fortunately, after that we didn’t have many more downpours, but we did have almost constant cloud cover and drizzle the remainder of the 3 1/2 weeks we were in Vietnam. We are from the Pacific Northwest, so we aren’t about to let a little rain stop us, but it did put a damper on our time there. 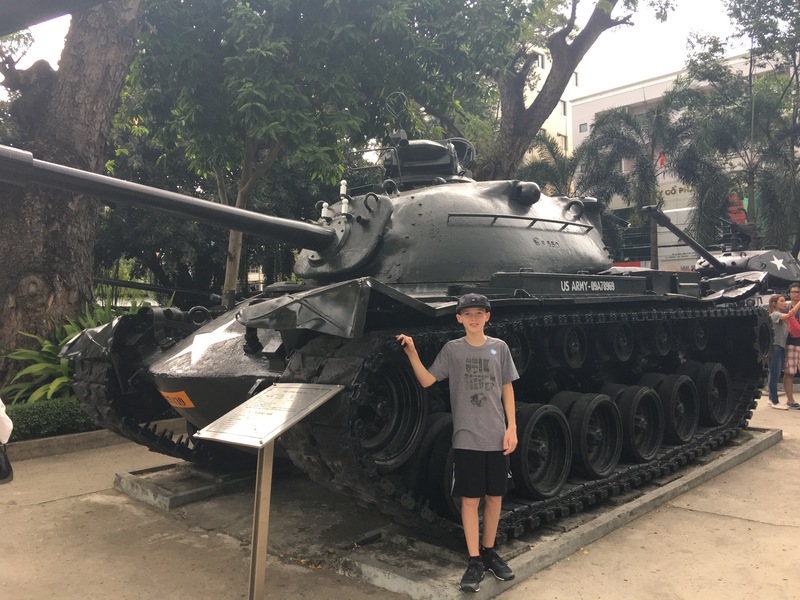 We knew in planning on going to Vietnam that we would be study and learn about the Vietnam War. This was something I was really looking forward to and that ended up being an amazing “world-schooling” opportunity. While we were able to learn a lot, our inner patriotism came out and it was difficult to sit through tours talking about the “American War of Aggression” and hearing about the creative ways they “killed the Americans.” It was however a great opportunity to teach the boys that sometimes history is in the telling, and that war is always a terrible thing for everyone involved. 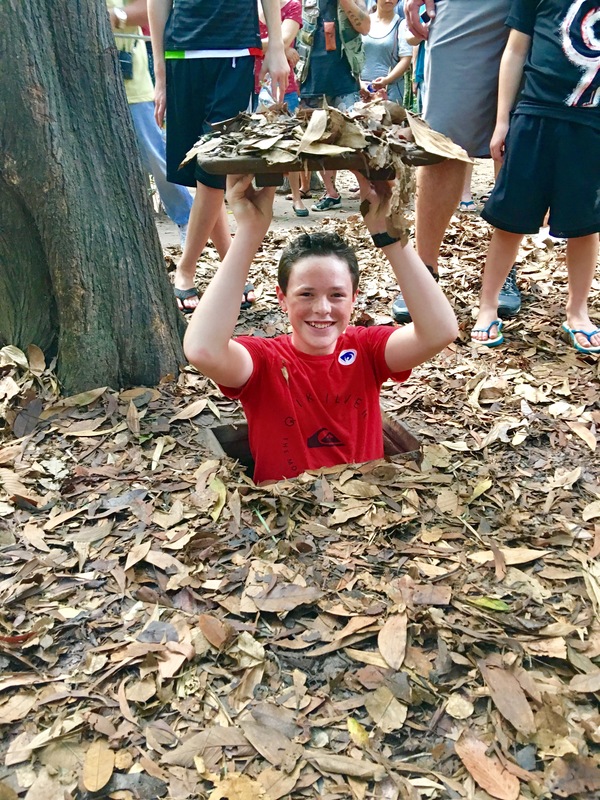 Exploring the Cu Chi Tunnels near Ho Chi Minh City. 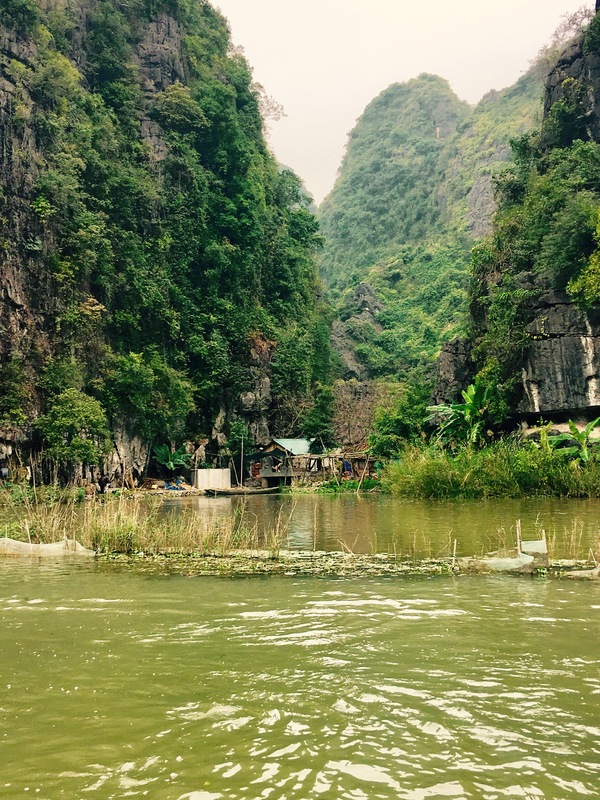 Many Viet Cong lives in these during the war. The tunnels were so small I had a really difficult time fitting through them at all and Jeromy didn’t even try. 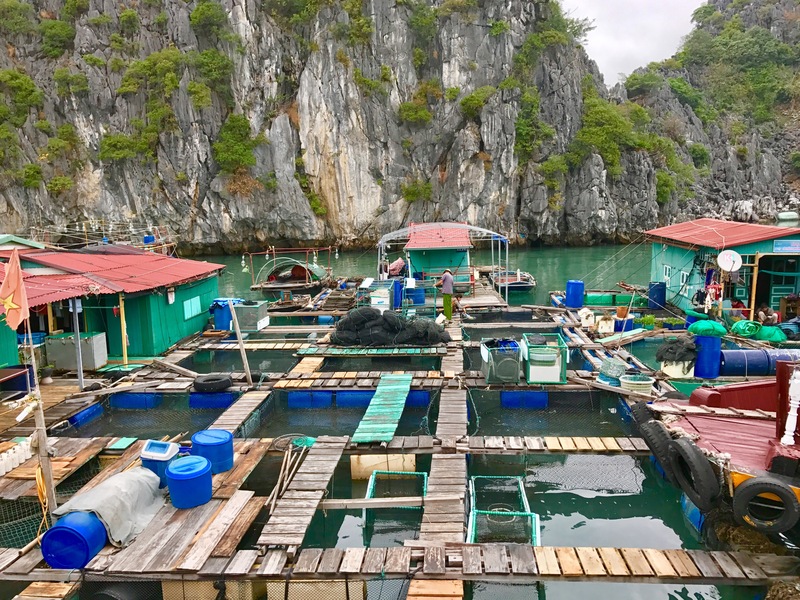 Even though we thought they were incredibly small, they had actually been enlarged for the tourists. 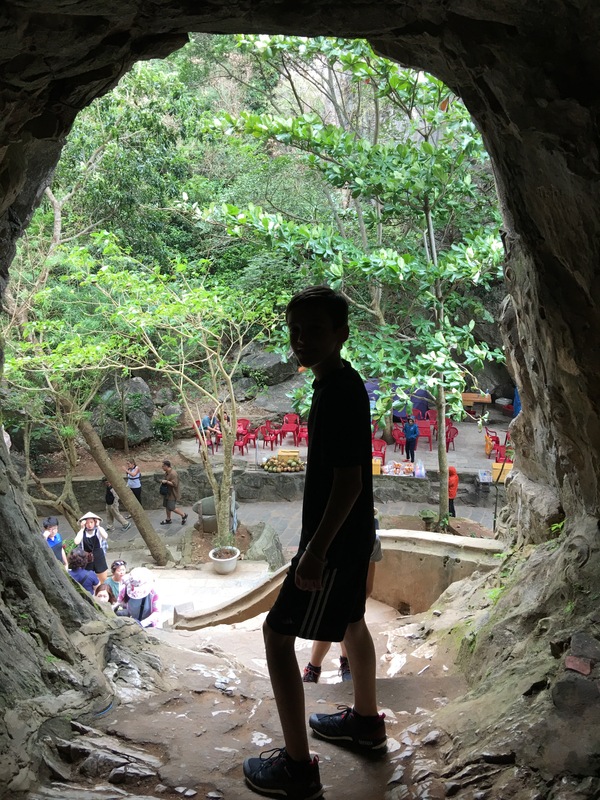 Despite all those things conspiring to make Vietnam a difficult place to spend 3 1/2 weeks, we really did see some amazing things as well. 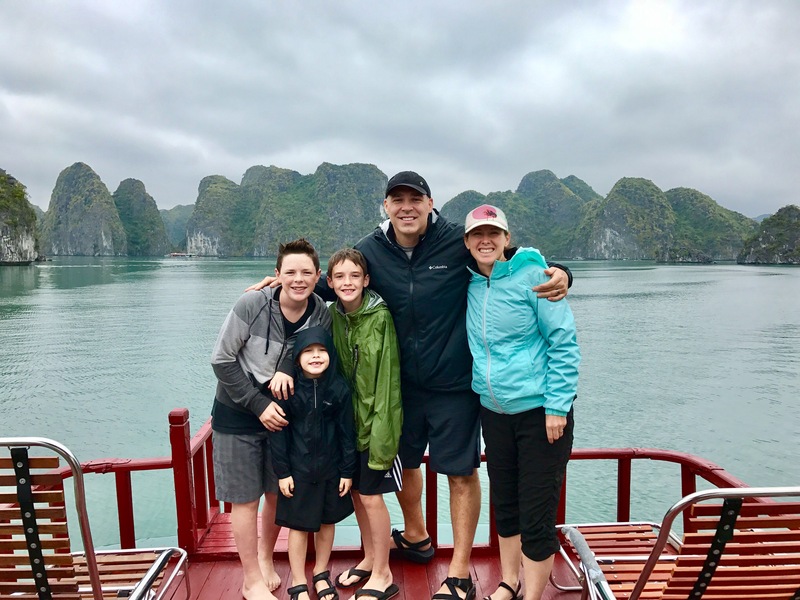 The most amazing time we had in Vietnam occurred at Ha Long Bay, which was recently named one of the New 7 Wonders of the Natural World. 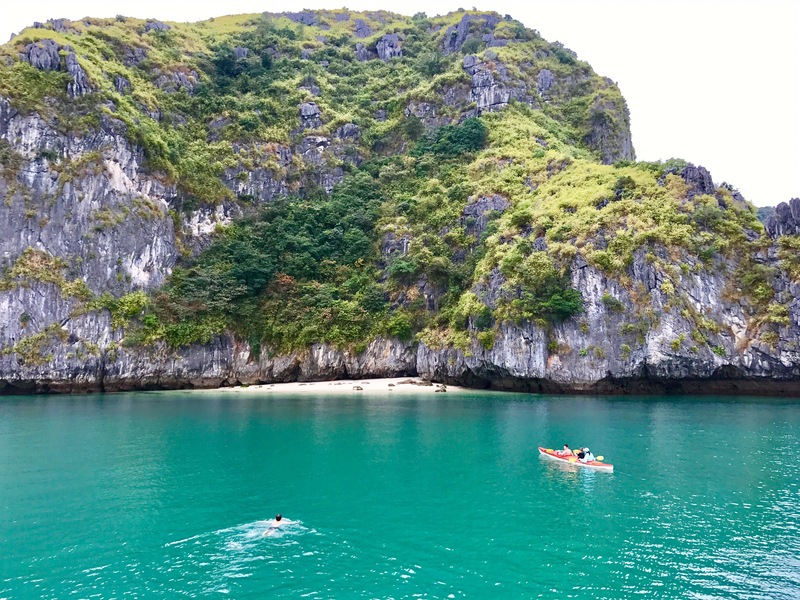 Thousands of beautiful karsts jut out of the ocean to form a surreal scenic experience that is hard to imagine. 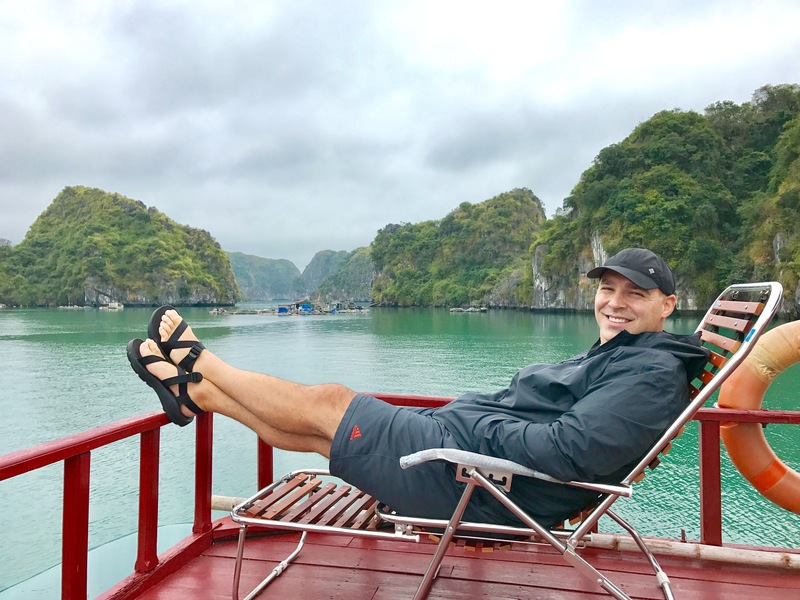 We stayed 5 days on Cat Ba Island, located in Ha Long Bay, and were able to spend two days taking a boat out to go to remote beaches to rock climb, kayak, swim, and explore. 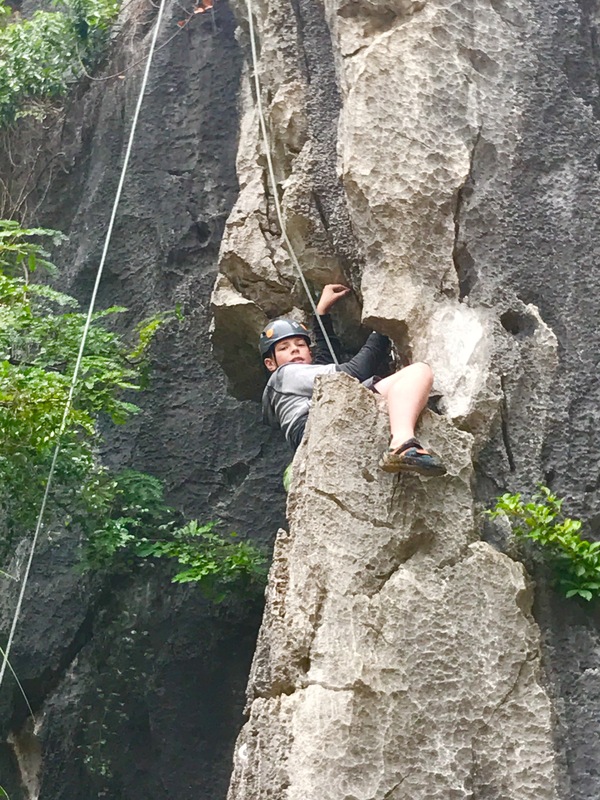 We took a boat out to a small island in the bay and went rock climbing. 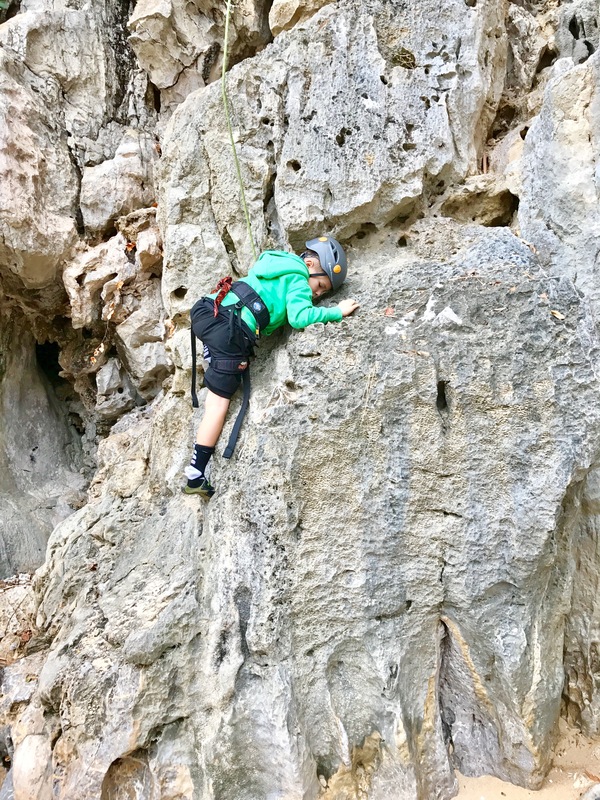 Parker and Tyler enjoyed showing up all the adults that were there with their amazing rock climbing skills. 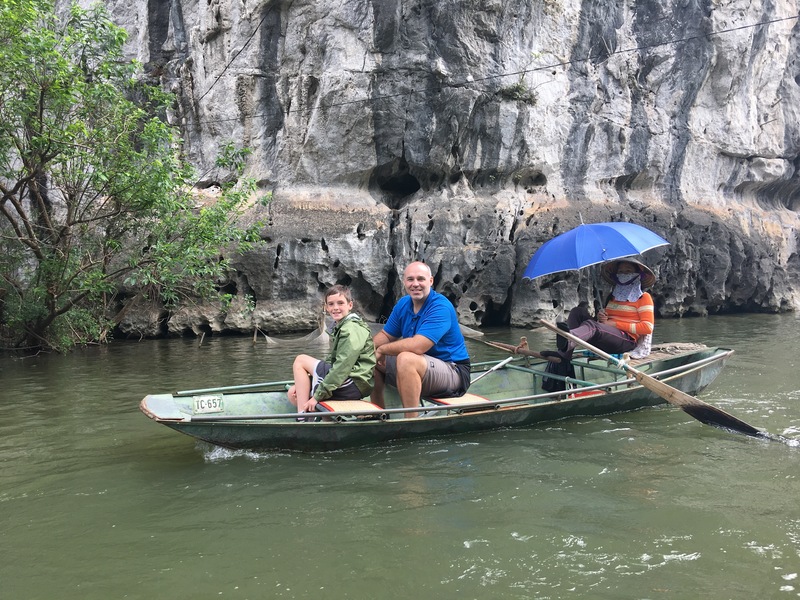 While in Hanoi we took a day trip out to the country and saw what they have dubbed “The Dry Ha Long Bay.” We took a boat ride (they row with their feet!) 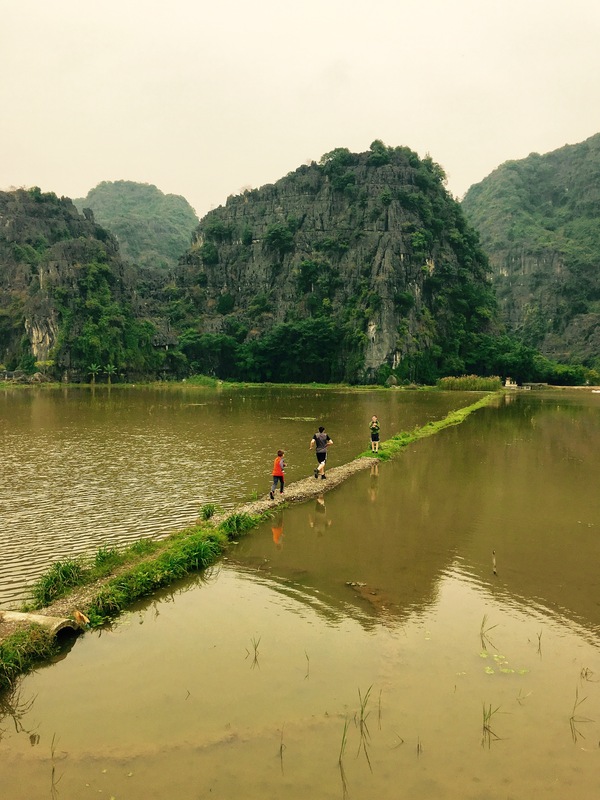 and rode bikes through the country side, seeing rice fields, villages, and some very beautiful scenery! 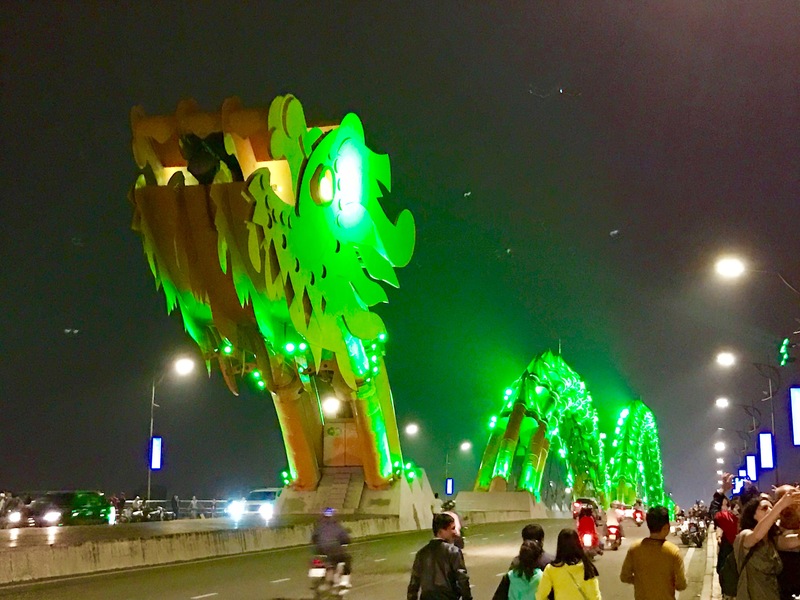 While there was too much rain to appreciate the beautiful beaches of Da Nang, we were able to see the coolest bridge of our trip so far. 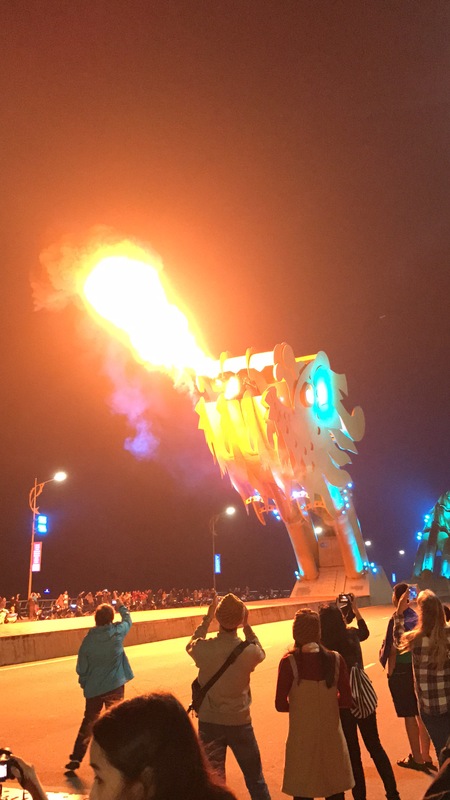 A dragon bridge that spit fire and water! Now that is awesome! 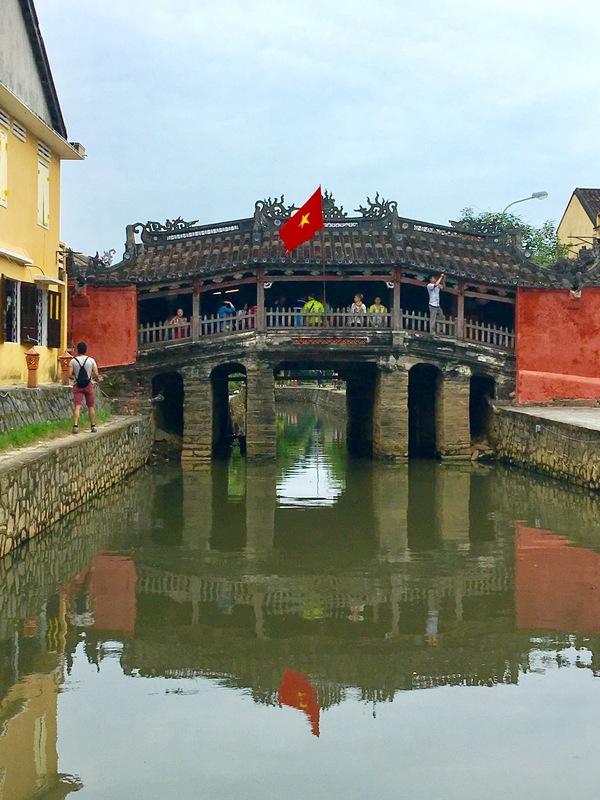 We also spent a day visiting Hoi An, which is the most intact traditional town in Vietnam. 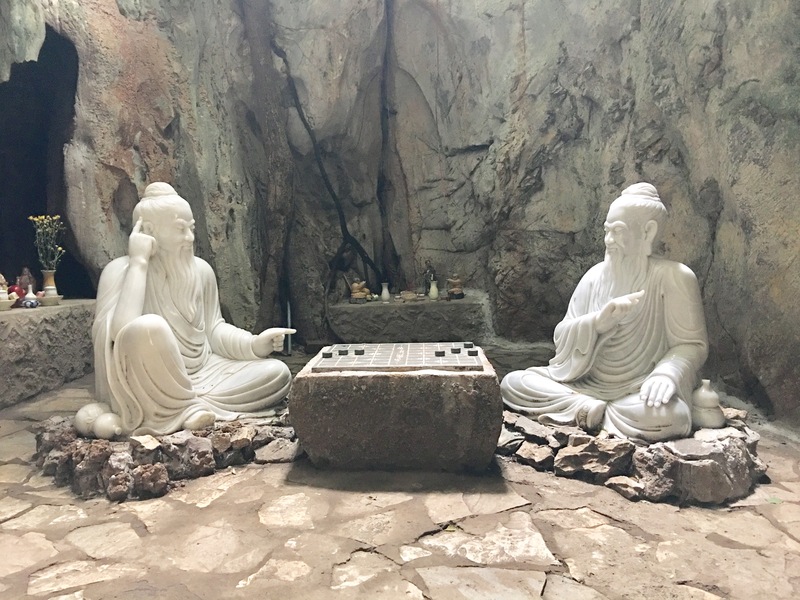 On our way there we stopped by Marble Mountain, which is a cluster of five marble and limestone hills representing the five elements (metal, water, wood, fire, and earth). 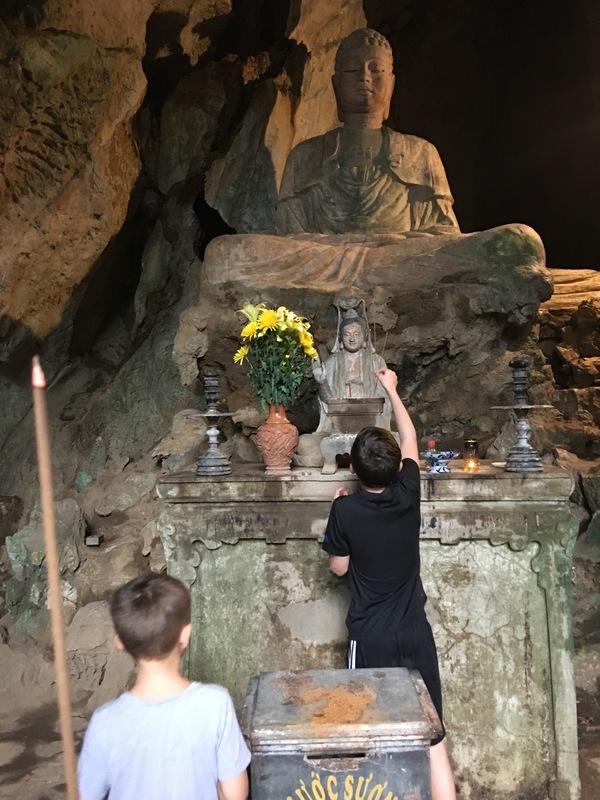 As you hike around you can explore caves where many Buddhist sanctuaries have been built. 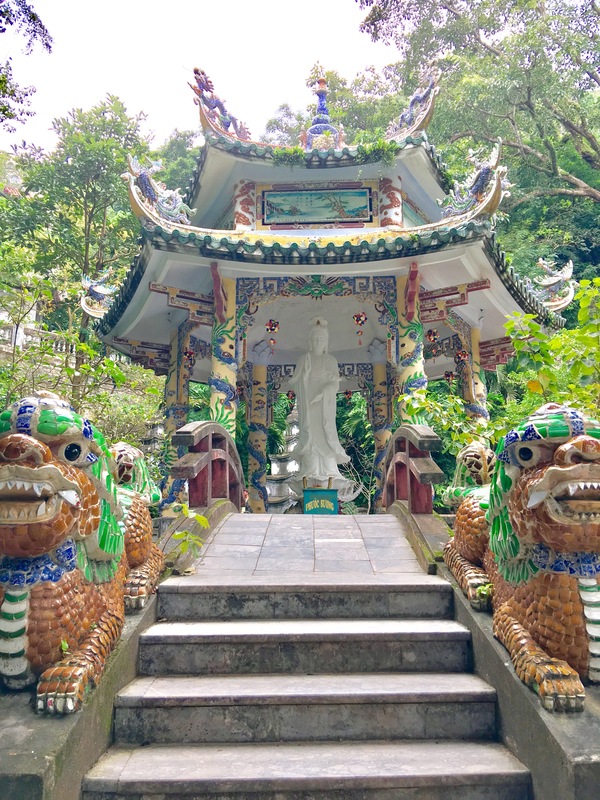 These were by far my favorite Buddhist temples I had seen so far. The combination of the spiritual and natural created an unforgettable experience. 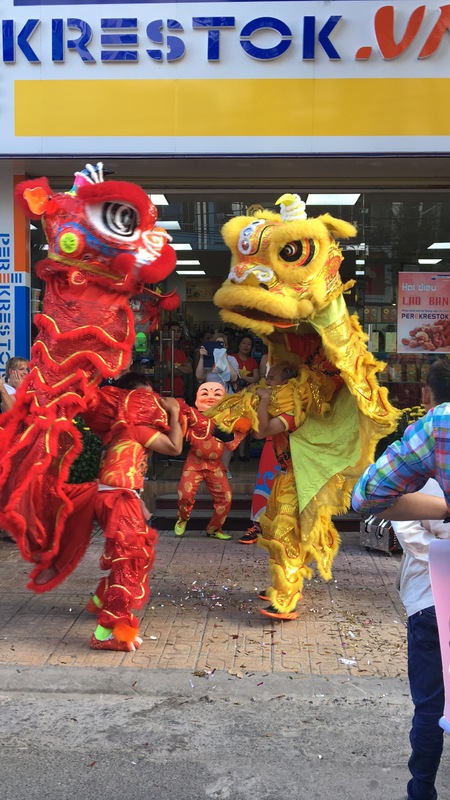 While we spent a week in Nha Trang, we celebrated the Lunar New Year, which is one of the biggest holidays celebrated in Vietnam. 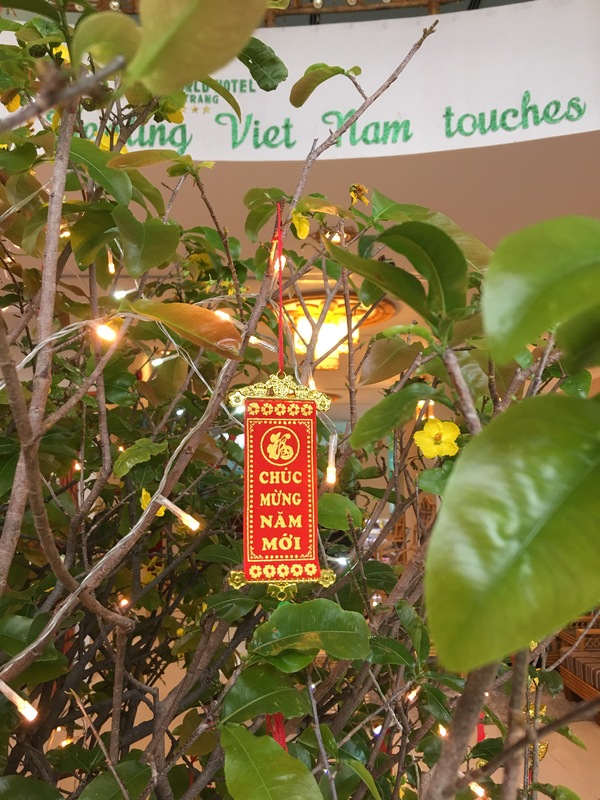 All the hotels and streets were decorated with lights and had trees decorated with coins, red envelopes, and tassles. My favorite thing was all the citrus trees that were brought in to decorate! 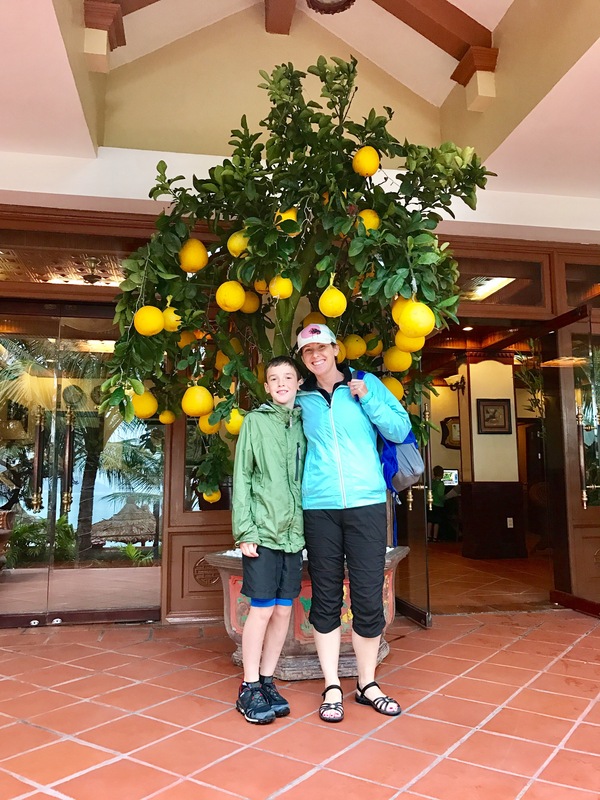 Everywhere you looked there were kumquat trees decorating entrances to stores, hotels, and restaurants. 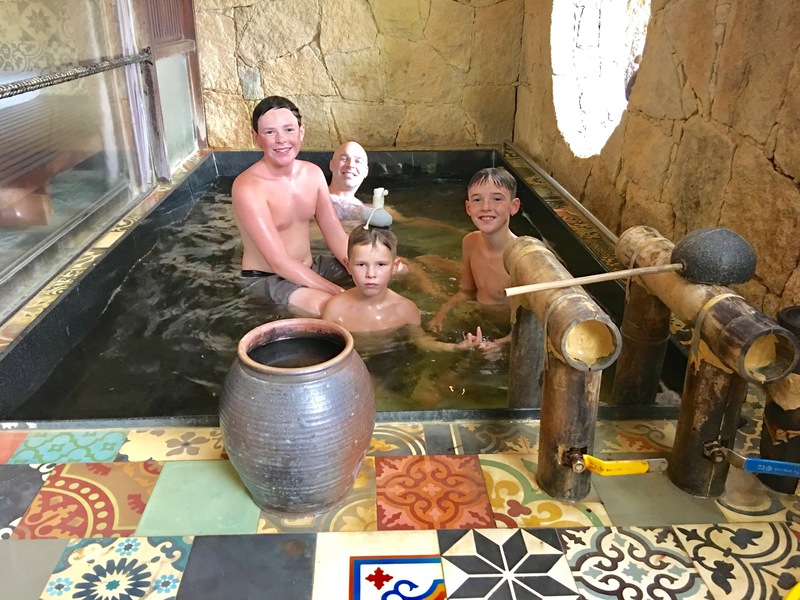 We also spent a day relaxing in the mud baths to recover from our crazy Lunar New Year’s night! 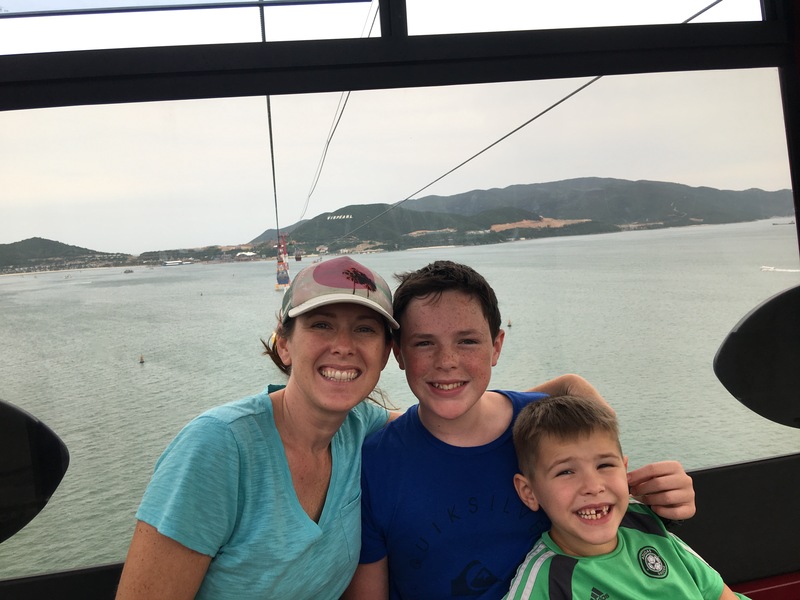 One of our last days in Nha Trang we took the longest over water cable car in the world (over 2 miles long!) to Vinpearl amusement park and had a really fun time. 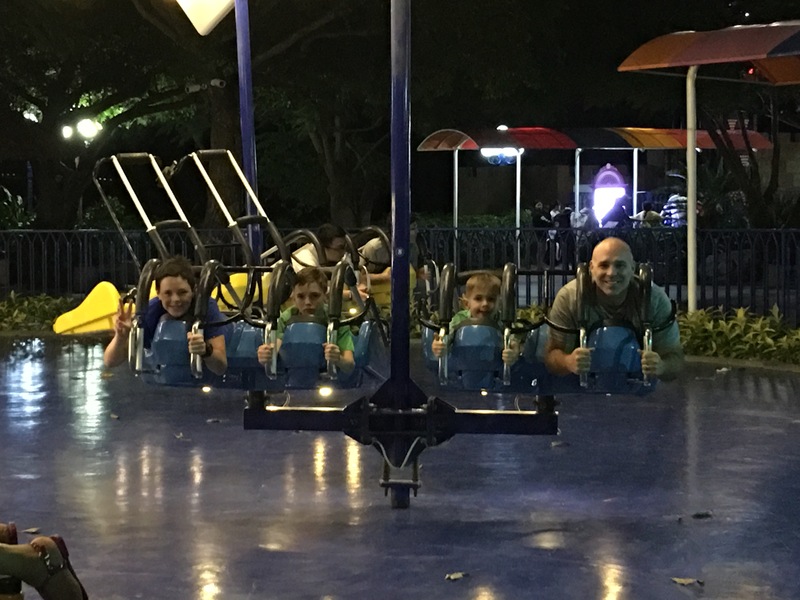 Our favorite ride was the amazing alpine slide! 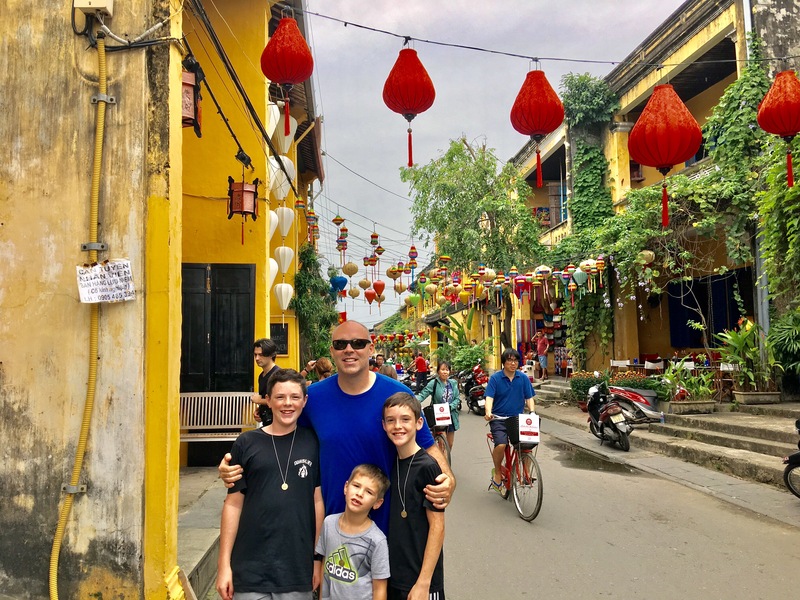 As we ended our time in Vietnam, in Ho Chi Minh City, we all started to pull out of the funk that we had been in the past few weeks (it helps that we were able to find a Dairy Queen and a Hard Rock Cafe.) Jeromy even conceded that we shouldn’t fly over to Hawaii for a couple weeks to visit his family who were all there on vacation. 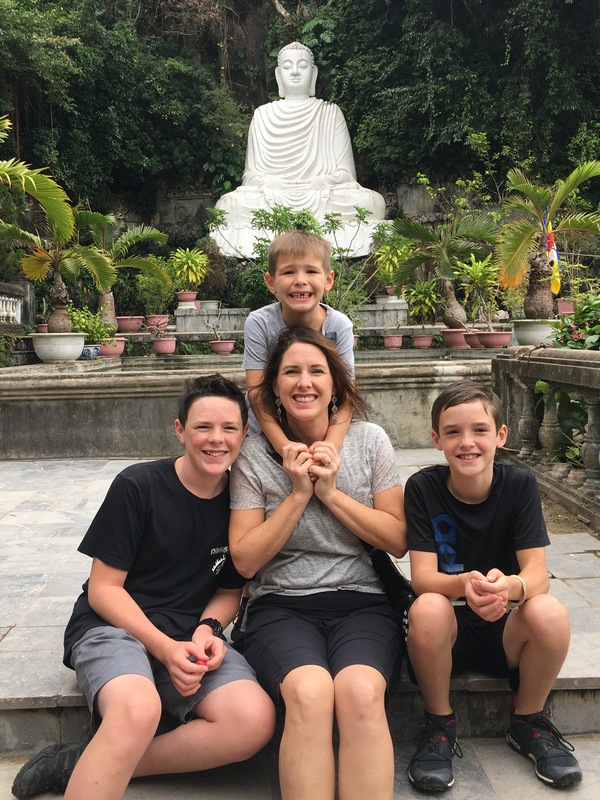 It helped that we had some exciting times ahead in the next few weeks and a one month stay with lots of friends and family visiting in Bali, just around the corner! What a fantastic blog. Makes me want to go. Glad you had a post that it’s “not all roses.” It’s good to experience those rough places, and see how hard so many have it as well. I completely get the comfort food, weather craziness, smells, etc. Enjoy the ride! Food is such a huge part of traveling isn’t it? It’s one of the biggest reasons I’m nervous about going to China. I always thought Vietnam would have great food though. My heavens, think about the places you guys have gone already. After you leave Europe, it must’ve gotten more adventurous with the exception of South Africa maybe? Keep up the great work on the blog. Love it. Hi Dixsons! Great to hear from you. Sherry and I just got back from 3 weeks in Alaska. 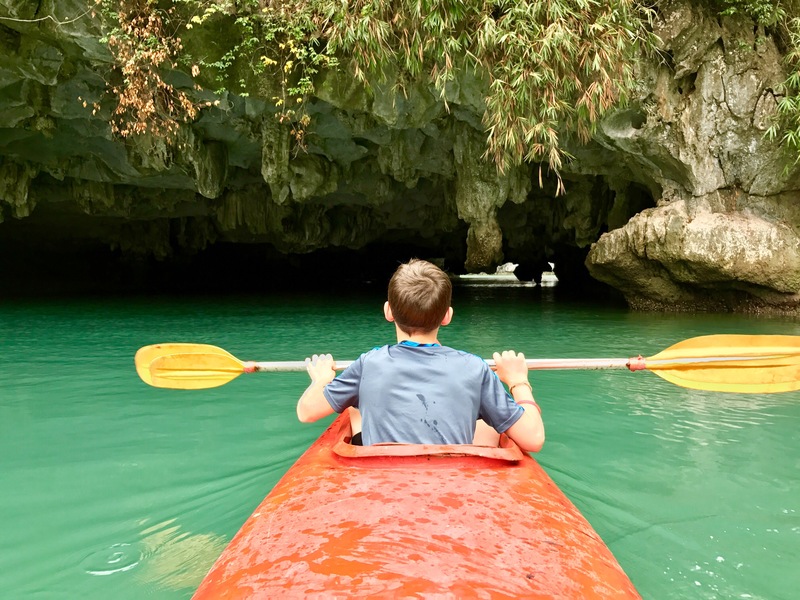 We are having homesick feelings just the opposite of you – we want to go back because that’s where Leland and his family are. we miss them already. Now, I have to go back to work. 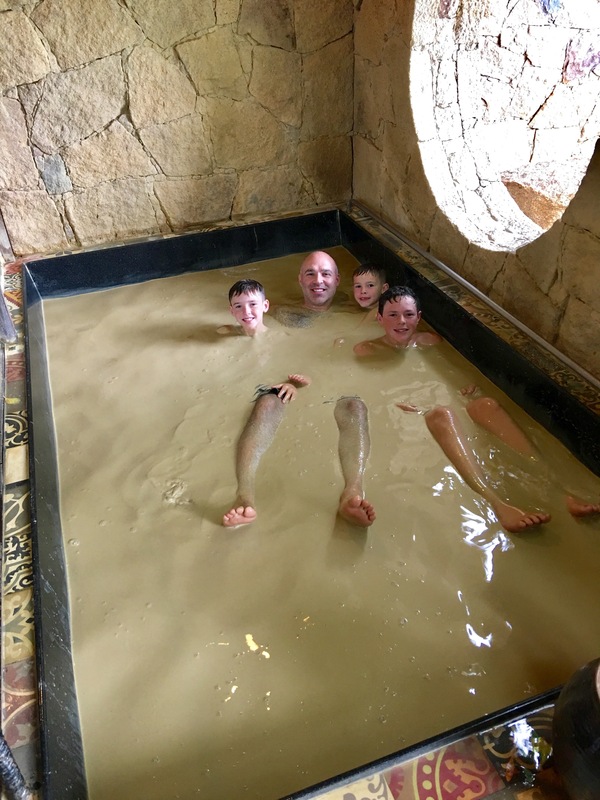 My favorite picture is you guys in that brown water. Looks like you haven’t had a bath in ages. Just remember – DON’T DRINK THE WATER – LOL!